Scroll down for our list of my favourite dyslexia resources, charities and organisations who are making a difference to the lives of young people and adults who are dyslexic. Sarah Guest is the chair of the Chester PATOSS Group and is an accredited assessor for Dyslexia. she sometimes writes on this blog so she is well worth a mention here in this resources page! My good friend Valerie Shaikly runs the Dyslexia Assist website which supports parents too. Her work to collate useful information for parents of dyslexic children is exemplary and is a valuable resource. She has been a real supporter of my work and I am very pleased to include her website in our resources section. I can't recommend this enough to you! 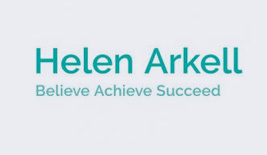 A long term collaborator with The Studying With Dyslexia Blog, Georgina Smith is a Leek based dyslexia tutor and assessor who has written her own multi sensory programme to support language and literacy. Georgina is also the co organiser of The SEN Jigsaw Conference which happens every year. If you are London based and looking for support with aspects associated with having dyslexia then you would not go far wrong in getting in touch with Lizzie Kwarteng-Amaning. Dyslexic and a trained teacher, Lizzie has a passion for helping dyslexics back into work. Watch out for their regular workshops and training sessions all based around dyslexia in sunny Battersea. Check out this wonderful resource from Dyslexia Scotland which is specifically for young people. Even if you are not in Scotland I am sure that this website will be useful to you. Arran Smith regularly presents webinars about special educational needs with some of the most well-known experts in this field. Definitely worth checking out the schedule and listening in. 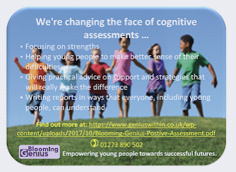 Blooming Genius is a part of Genius Within the organisation that provides positive workplace assessments and coaching for adults with SpLD. Blooming Genius is the children and young peoples initiative which is lead by Kit Messenger. As someone who works as an associate coach for Genius Within, I can heartily recommend the work that they do in empowering people with learning differences to unleash their inner genius. A great source or resources and dyslexia courses all focused around dyslexia. The RNIB Bookshare is an awesome resource for students struggling to read textbooks for whatever reason. Schools can apply, for free, to join the service and electronic versions of curriculum-based textbooks can be downloaded and read out using a PC. This blog particularly recommends using SprintPlus software to read out PDF books. Lorna is an independent educational advisor helping parents to find high quality independent educational settings for their children's additional needs. Approachable and with a wealth of knowledge that comes from working in education Lorna is a great person to check in with if you need to find the right specialist college for your child.